Nathalie Ummels (42) started as the new Coordinator of Mondiaal Maastricht on 16 May. She takes over the task from Jan Cornelissen. But who is Nathalie? Below she briefly introduces herself. “I am originally from Maastricht and together with my American husband Atticus and our three children we live in my beautiful hometown. Before I started at Mondiaal Maastricht, I worked for Maastricht University for 15 years, first at the R&D department at FHML and later at the Center for European Studies (CES / SSC). Last year, with our family, we made a big roadtrip of 6 months through the United States where we camped a lot and stayed with friends and family. That journey showed me how beautiful our earth is and how important it is to ensure that the next generations can also enjoy it. 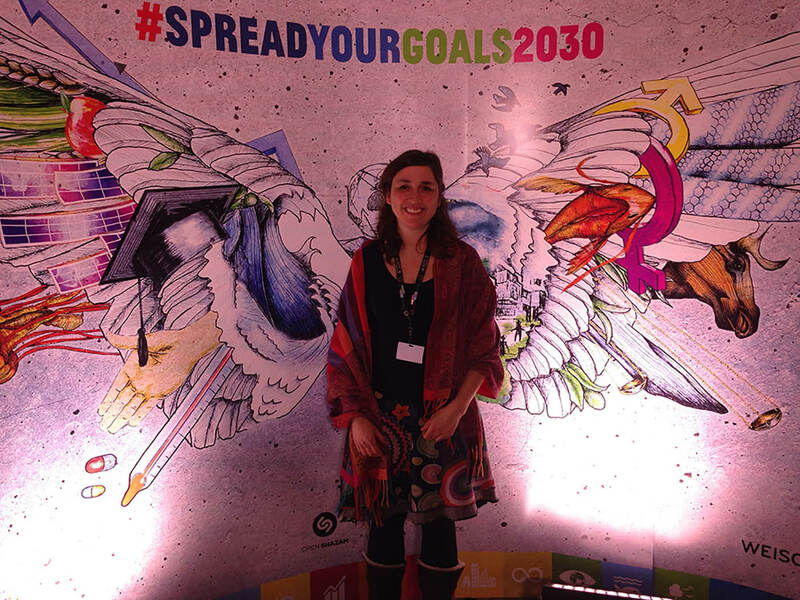 When I returned, I started studying sustainability and education (Education for Sustainable Development at the Earth Charter Center and University for Peace in Costa Rica) and the 17 Sustainable Development Goals (SDGs) of the United Nations. The idea is that these goals will be achieved in 2030. This is called the Agenda 2030. Almost all countries in the world have committed themselves to this, including the Netherlands. The goals seem very diverse initially, from banishing hunger and extreme poverty to tackling climate change and promoting clean energy, but there is a connection. Because the same underlying values contribute to the exploitation of nature and people. These are, as it were, symptoms of the same disease. In addition, the current environmental and climate problems are so serious that they pose a direct threat to human well-being, especially in vulnerable countries. It is therefore logical that Mondiaal Maastricht has taken the step to look at the world with a broad, sustainable view. We are not alone in this. Everywhere in Maastricht, companies, schools, institutes, the municipality are engaged in formulating sustainable policy and action based on the 17 SDG’s. These goals function as a kind of common language, which makes collaboration easier and more effective.